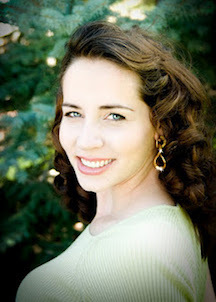 Molly Snow is a writer of young adult fiction and is ranked a Top 10 Idaho Fiction Author by The Idaho Book Extravaganza. Her teen romance titles in the BeSwitched series include BeSwitched, BeSwitched Witch, Royally BeSwitched, BeSwitched In Time. She also wrote the paranormal romances To Kiss a Werewolf, To Date a Werewolf, Head Over Halo, and Fallen Angel. Under the pen name Claire Kane, she and her mother (under the name Zoey Kane) write the Z&C Mysteries series with the following titles: A Grave Situation, The Riddles of Hillgate, Cruise to Murder, Hexes and X’s, and Legend of the Lost. Under Claire Kane she is beginning a new series, The Dead Ex Files. She also speaks on writing at school assemblies. She has a set of twin sons. She is a member of The Church of Jesus Christ of Latter-day Saints.